One of the fundamental joys of golf is the feeling that whenever you take to the course, you’ll not know if you’ll have a great round or a not-so-great one. When your drives from the tee are top-notch, and your work on the green is sensational, you’ll be buzzing for a week. If you drop a few shots on a round, you’ll be questioning what went wrong. To guarantee steady improvement, though, you’ll want to follow some of the advice listed below in order to improve your handicap and increase the probability of your scoring a perfect round. Patience is required on the golf course, but pure, focused practice is imperative if you’re to improve everything from the efficiency of your swing to the distance of your drives. That’s where the driving range comes in. You should be visiting the range at least as many times as you’re out on the course: it’s where you’ll iron out all of the issues with your game. Find a friend to go with once a week, or else find a range where there’s a deal for a certain amount of balls, and get hitting in the name of practice and perfection. You’re never too old or too wise for lessons, and taking on the advice of a golfer with more-developed expertise than yourself is something you shouldn’t be too proud to accept. If you’re more towards the beginner end of the golfing spectrum, then some scheduled one-on-one lessons should do the trick in quickly boosting your game to the next level, giving you a comfortable base of technique upon which to grow. But even if you’re operating on an impressive handicap, playing with better players who’ll be able to advise you on your swing can only be of benefit to your game. Golf, like many sports, has tiered grades of equipment – from the second-hand and cheap to the top-of-the-range, injected with the most impressive technology out there. The better your clubs, the more likely you are to see an improvement in your game. It pays to invest in a truly high-quality set of clubs from the outset – something you’ll be able to get used to over years of hitting the course. You can click here to find out more about quality drivers and well-made irons to help improve your golfing prowess. When you’re actually out on the course, under pressure, it’s incredible how quickly your mind can wander, and a few off shots can affect the mentality you bring to your game. The tip here is to say focused on your technique and the reason behind poor shots at each and every hole. By constantly evaluating where you might be going wrong from shot to shot, you’ll be able to unlearn poor techniques and learn mechanisms with which you’ll be able to reduce your errors, thus leading to a more polished, mature level of golf. 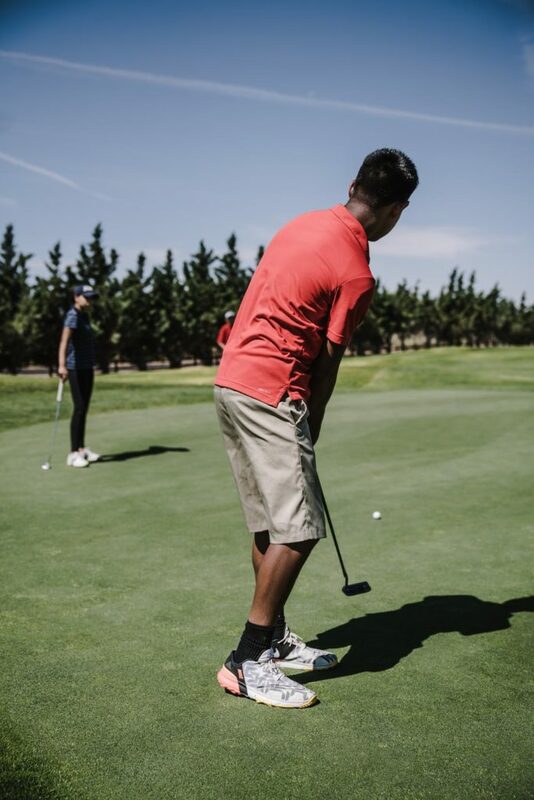 Use the above four tips to improve your golfing performance so that next time you hit the course with friends, you’ll impress with your next-level golf.